Jobisite allows all job boards to get their jobs indexed in website and can get traffic also. Instead of having certain feed type, Jobisite allows job boards to use any rss feed or xml formats. It opens a contact us form and just submit your job board rss feed. It generally takes 2-3 days for configurations and then it will permanently index your rss feed. Jobisite checks for updated on regular basis and then accordingly add in our system. 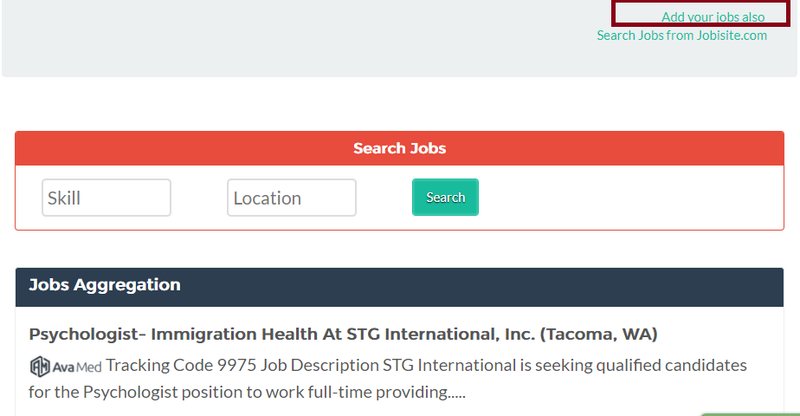 It’s free to include jobs from external job boards. There are no hidden charges or click or view charges for external jobs. Just contact and send us rss feed and we will start indexing.